According to the Wall Street Journal, AlphaBay shut down on July 4. 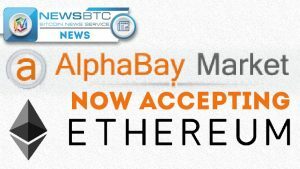 AlphaBay was founded in December 2014, taking the place of the Silk Road Marketplace, which was seized by the FBI in October 2013. Andrei Barysevich, a director at the threat intelligence company Recorded Future Inc., told the Wall Street Journal that AlphaBay not only focused on the sale of drugs, but also allowed the advertising of products and services that other underground markets banned, such as stolen credit card numbers and online fraud tutorials. The researcher stated that AlphaBay sold more than $5 million worth of stolen credit card information in the first half of 2017 alone. Previous PostPrevious Is Ethereum Getting Crushed?